We do not have a TechShop in our area however anytime a space where makers meet and create, teach, and discover closes it is a setback to education, innovation and curiosity. Founded in October 2006, TechShop started as a membership-based, do-it-yourself (DIY) workshop and fabrication studio. Over a decade later, TechShop, Inc. grew into an international consulting company sharing it’s makerspace expertise with grade schools and fortune 500 companies alike. TechShop offered consulting, market assessments, licensing options, curriculum, and various other managed services to economic development councils, libraries, non-profits and educational institutions, design firms and other makerspaces. 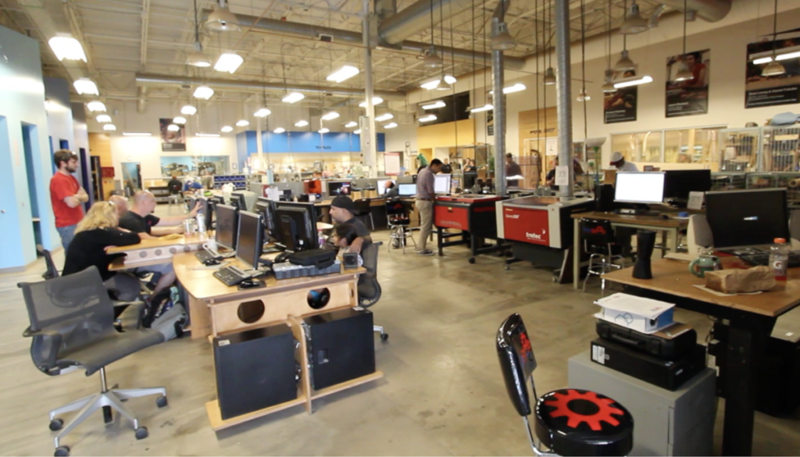 TechShop encourages you to find a way to grow the maker movement in your community. It’s worth the effort. Yesterday TechShop suddenly filed for Chapter 7 bankruptcy protection. TechShop is no more and its remaining assets will be sold off by the appointed Trustee. It hits home insofar as we have purchased one of the original Embrace bracelets for my son who has seizures. This device will send out an alarm when a seizure occurs to the connected phones. It was listed as one of the success stories coming out of the TechShop. A life-saving incubation blanket for babies. In 2008, a group of Stanford students sought to address high mortality rates among premature and low-birth-weight babies by designing a better incubator for the developing world. The invention, the Embrace infant warmer, was prototyped at TechShop San Francisco and is now saving thousands of lives worldwide. Here is the link to the TechCrunch story about the demise of TechShop. As I am still working on my Video Doorbell, I can use NOVA-Labs which is very close by. As of today, some Americans will no longer have the ability to roll down the road to get their inventions into reality. It would be great if the likes of Amazon, Apple, Google would step up and sponsor these types of locations all around to keep the spark of innovation going. With this bit of sad new I will go and start my Friday.